We conduct a séance of sorts to call forth the souls of operating systems past—not so we can gaze upon their ghastly interfaces, but to learn from their tragic demises. Tremble, mortals! Halloween is upon us. Ghosts, ghouls, and other undesirable creatures are prepared to slink out of their domains and into ours—it’s said that even the dead can rise on Halloween. In that spirit, let us light some candles, cover the mirrors, and conduct a séance of sorts to call forth the souls of operating systems past. Not so we can gaze upon their ghastly interfaces, but to see if we can learn anything from their digital carcasses and signs of a life well-lived—or not. Who knows, perhaps they bring secrets from beyond the grave. Windows XP proved to be a hit since its inception. Sure, it took Service Pack 2 to create the operating system we call XP today, but at the operating system’s launch in 2001 the basics were already there. It’s a good thing too, as Windows XP was destined to live long past its shelf life. Windows XP’s extended life started with Microsoft’s Sisyphean effort on project ‘Longhorn,’ which included ambitious hopes for new features. As due date after due date slipped for Longhorn, more people became invested in the familiar and near-universal XP, and to disdain change of any kind. 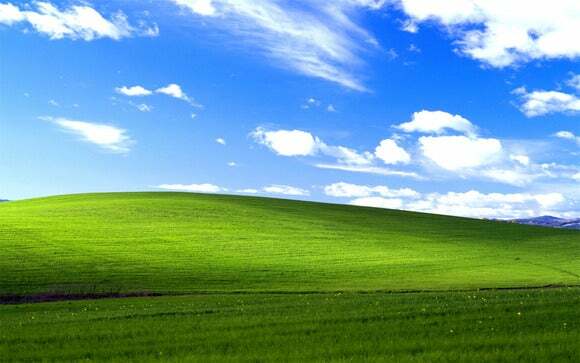 Windows XP’s iconic Bliss wallpaper. When Longhorn finally emerged from its 5.5 year development in 2007 as Windows Vista, users were shocked and appalled by Microsoft's proposed XP replacement. It took another two years of development and the release of Windows 7 before Windows XP would finally begin to lose ground. Yet it was another four to five years (depending on whom you ask) before Windows 7 would replace XP as the most widely used operating system in the world. Today, four iterations of Windows after XP, the 14 year-old OS still claims more than 12 percent of online PC usage worldwide, according to Net Applications. This is despite the fact that Microsoft ceased delivering security updates for XP in April 2014—a year and a half ago. Lesson learned: Don’t let your software live on too long, or it will grow up to be a dangerous zombie. When Microsoft announced Windows RT, originally known as Windows on ARM, people were excited about the possibility. Finally, the energy-efficient ARM processor architecture—ubiquitous on mobile devices—would earn its own version of Windows. What became Windows RT, however, was a terrible joke of an OS. Like Windows 8, RT offered a dual-identity desktop interface and modern UI. The desktop was hobbled, because it couldn’t run any other traditional Windows software—just Internet Explorer and Microsoft Office. Windows RT users didn’t have much to do on the touch-friendly side of Windows either, due to Microsoft’s poor efforts to convince developers to build Modern apps for the Windows Store. Windows RT running on Microsoft’s Surface RT. Toward the end of its life, RT was no better than a glorified web browser with a smattering of ho-hum apps. Meanwhile, Intel’s Atom chips quickly closed the gap with ARM’s energy efficiency, leaving little reason to opt for Windows on ARM. Microsoft was never clear enough on what it wanted to do with Windows RT. The result was a poorly thought-out ecosystem that led to death by indifference. Windows RT tablets aren’t being upgraded to Windows 10, and even Microsoft’s own budget Surface line ditched Windows RT for Windows proper in its third iteration. Lesson learned: Ghosts of Windows RT linger on in Windows 10’s universal apps and Windows Phone compatibility, but Windows RT was nothing short of a disaster with consumers—understandably so, given its radical new interface and limited software capabilities. Even if you’re trying to move an ecosystem forward, don’t throw out the baby with the bathwater. Mac OS in all its graphical interface glory. One of Apple’s founding principles is that PCs—and technology in general—should be a delightful, even magical, experience. That vision came to the fore with the original Macintosh operating system. 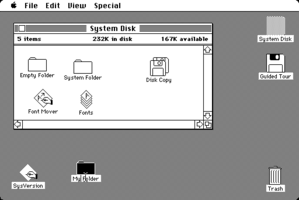 The first Mac OS was a revelation that popularized the visual PC interface and mouse navigation for home users. The downside, however, is that a lot of what made Mac OS so magical required technological trickery and clever solutions to help a constrained system perform beyond what was expected. Original Macintosh users were forced to constantly swap out disks constantly because of RAM restrictions. It was a pain to do—sometimes literally—but many people didn’t mind because the user experience on the screen was simply so much better than anything else out there. Lesson learned: Even problematic software can be loved if the user experience is superior to the competition's. During the early days of computing, IBM was a dominating force with its line of personal computers. 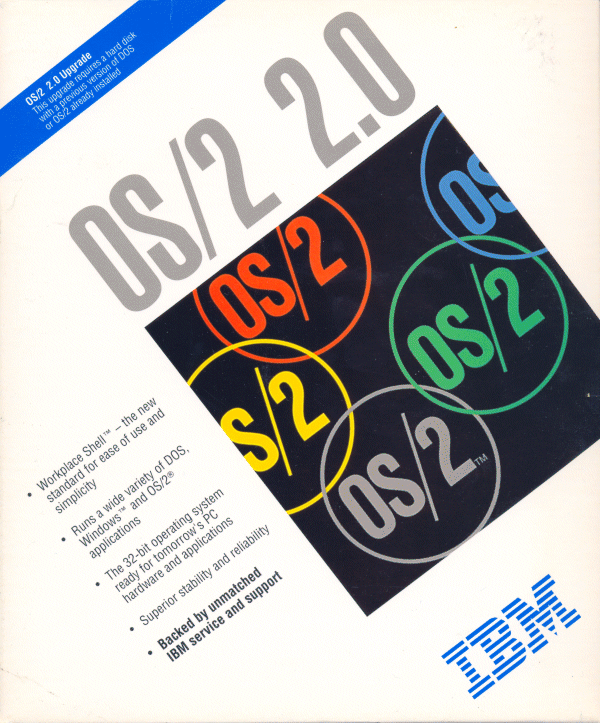 When the company began producing the operating system OS/2 with Microsoft, the plan was to use the new OS to push even more sales of IBM hardware. That worked for a while, but the end of the line for OS/2 took shape once Microsoft produced Windows 3.0. After that, Microsoft ceased co-development of OS/2 to focus on Windows, and IBM was chasing Microsoft ever after. Pundits still argue over whether early Windows or OS/2 was better. Regardless, OS/2’s undoing was that Microsoft outflanked IBM at every turn. Microsoft bundled Windows with all kinds of hardware, as it does today, while OS/2 was sold separately and designed to push IBM machines. That approach just didn’t work when faced with the juggernaut that was Microsoft—it also didn’t help that Microsoft cheated. Once Windows 95 came out, OS/2 was all but done. IBM’s operating system faded out by 2000, but just like with Windows XP, you can probably find the odd ATM or small business inventory system still running on OS/2. Lesson learned: Even juggernauts can fall. 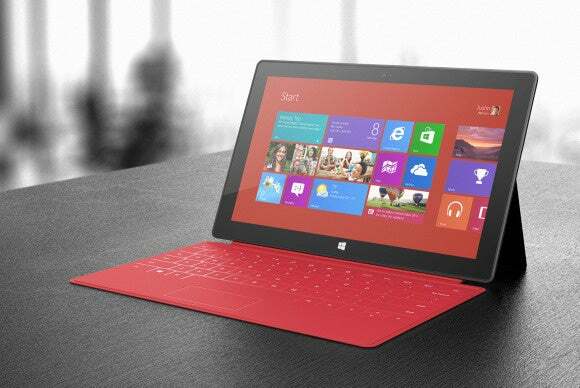 Adapt—which is exactly what Microsoft’s trying to do with Windows 8 and 10—or die. In 2015, we officially bid goodbye to Mandriva, a once-popular Linux distribution. This version of Linux started out life as Mandrake until the company running the distro merged with Conectiva in 2005 to become Mandriva. Many veteran Linux users cut their teeth on Mandrake or Mandriva, including PCWorld’s own Linux watcher, Chris Hoffman. Get it? 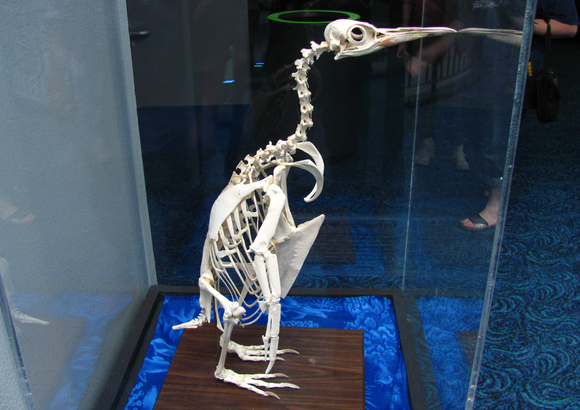 A penguin skeleton? Mandriva lost its spot as the “easy Linux” distro after Canonical’s Ubuntu appeared in 2004. Seven years later, development ceased. Mandriva is just one of the many Linux distributions that have faded into oblivion—CrunchBang, supported by a single developer, is another one we recently covered. Linux may be a force in the server world, but it has never succeeded at winning over masses of desktop users. Its openness encourages many developers to create their own Linux distributions and then fight with the hundreds of other distros for a slice of a tiny user base. Unsurprisingly, there’s a healthy amount of churn among distributions, even the popular ones. Lesson learned: Like your Linux distro, but don’t fall in love. You may wind up leaving the party sooner than you think. 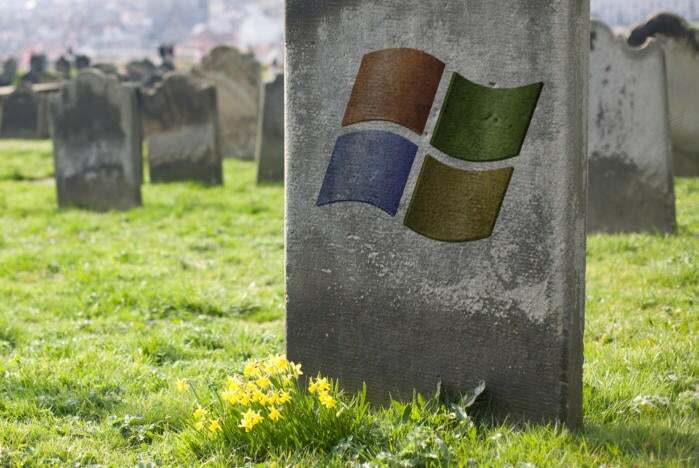 That’s the end of our ghoulish walk through the graves of operating systems past. Now we close the PC crypt for yet another year…until the ghouls of dead PCs past rise again.